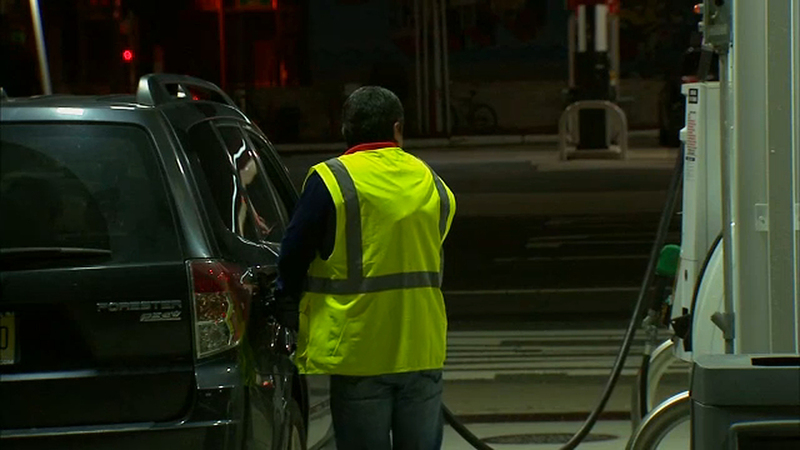 NEW JERSEY (WABC) -- Gas prices continue to climb in the New York area as drivers feel the impact of Hurricane Harvey at the pumps. The price of a regular gallon of gas is going up 28 cents to $2.84 on the New Jersey Turnpike and Garden State Parkway Friday. The price per gallon for the past week on the two roads was $2.56. Prices increaseed at 7 a.m. The cost of gas on the two roads is set by a weekly survey of prices at stations across the state, and only changes once a week. Harvey crippled more than 20 percent of the nation's oil refining capacity and shut down 15 Gulf Coast refineries.